So here’s the deal. A lady never reveals her age, but I’d say it’s pretty darn obvious that I’m not in my 20’s, right? I mean, just a couple weeks ago, I was talking about my journey with IBS, and I think it’s pretty safe to say that most 20-something-year-olds won’t even touch that topic with a 30-foot pole. Yeah, I’ve been out of my 20’s for a few years now, but I’m of the belief that you never really have to grow up. Well, at least when it comes to your personality and the activities you choose to do. Sure, you gotta be able to pay those bills, cook for yourself, and figure out basic car maintenance. The basic adult-y things that allow you to be considered a self-sustaining part of society. But if you’re anything like me, you’re holding onto those younger years as tightly as you can. I may look past 20. I may be more responsible than a 20-year-old. But there are plenty of things I do in my day-to-day life that keep me feeling much younger than I actually am. I’m a believer that you’re only as old as you act. I mean, just last week, my 89-year-old grandfather-in-law was telling me about his kayaking adventures, and I tell ya, I’d never guess that he’s a day over 70. And my grandma who lived to see 80 was a firm believer of keeping yourself young with the activities you choose to do. She chose puzzles, bowling, laughing with her great-grandkids, and going for walks. So I thought I’d share with you the things I do regularly in order to feel young and like I’m still in my 20’s (without the horrible day-long hangover). Of course, feel free to watch my video where I tell you all about it without you having to read! One thing I used to do all the time when I was in my late teens and early 20s was to go dancing. I’d get some friends together, we’d dress to the nines, and we’d hit up any club we could find that had a good DJ. We weren’t there to drink. We weren’t there to find a date. We were just there to dance the night away. It’s freeing. It feels amazing. It’s exercise in disguise. It’s self-expression. 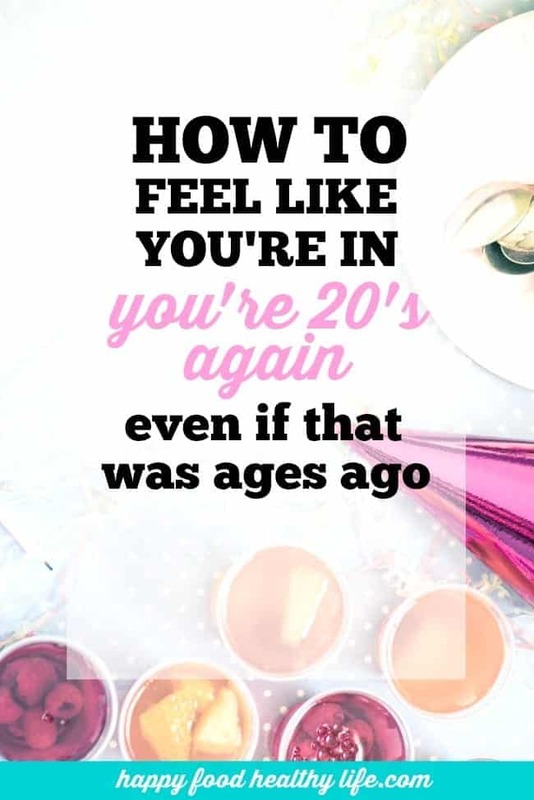 And let me tell you, there is no reason why it has to young once your 20’s are over. Whether you’re married, single, whatever. No matter your age, get all gussied up again and go out on the town. Find a place that you feel comfortable to let it all lose for the night, and I promise you that you will feel amazing and young. You’ll be taken right back to those early years. You know what drives me crazy? When people say they can’t stay up late because they’re too old for that. You know what? I totally think that’s a cop-out. Believe me, I understand early morning work obligations. I understand feeling more tired now that we’re doing more adulty things. But, girl, when the weekend comes around and you get your girlfriends together, there’s no bedtime. Pour a glass or two of wine, and just get to chattin’. It’s seriously the best. Some of my favorite nights as an adult have been when we’ve gotten together with friends, played cards, watched movies, and just chatted for hours and hours. Before we know it, it’s 4 in the morning. This is what life is all about. Nurturing the adult relationships we’ve made with friends and family and just enjoy each other’s company. This is not a time to call it an early night and use your age as an excuse. I cannot stress this one enough. Not only is it great for your health to get your heart-rate up at any age, but there are certain classes you can take that are more fun than others. Let me tell ya. Zumba is my absolute favorite exercise in the world. It’s like a party. It all goes back to that dancing thing. It’s like I’m going out dancing and lettin’ loose with a bunch of other ladies, and all the while I’m getting an awesome workout in. These classes will help you to gain strength, and they’re all fun and empowering. I highly suggest giving one a try. It may be the best thing you’ve ever done for yourself and your youth. Take all your Gummy Vitamins. No, this one is not a joke. Gummy vitamins are not just for kids anymore. I’ve been taking all my essential vitamins for years, but you know what. Sometimes you just gotta have a little fun, right? 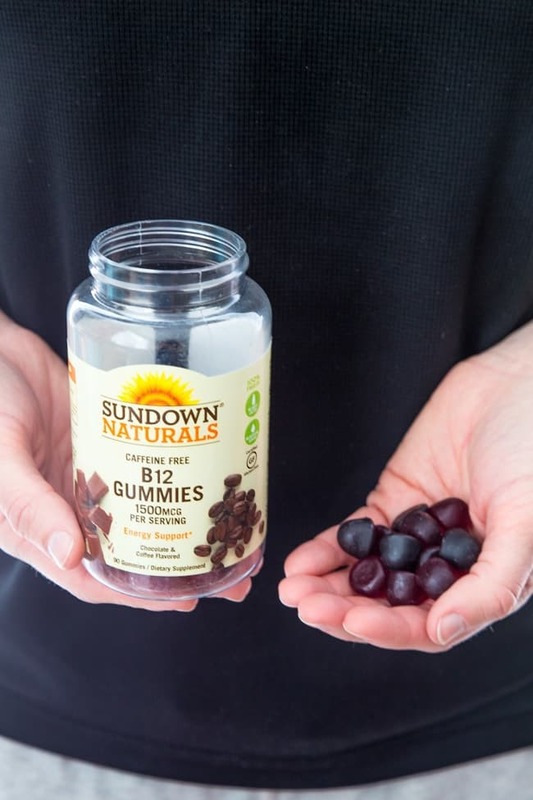 Thanks to Sundown Naturals®, you can totally get your adult gummy vitamin game on! Here’s the thing. I take quite a few vitamins. Do you think it’s fun to swallow all those pills? Um, nope. Sometimes I used to even gag on them, and well, that’s just annoying. So I was BEYOND thrilled when I saw that Walmart started carrying every single one of the vitamins I was taking, but in GUMMY form! The selection of vitamins is incredible and will cover all vitamin needs for your whole family. Plus, they’re completely free of gluten, dairy, and artificial flavors◊. That’s something I can get into! Talk about taking me back to my childhood. No more being jealous of my 10-year-old when he takes his gummies every morning. I get to join him! If you’re not sure which adult vitamins you should be taking, feel free to take this little quiz to determine what gummies are best suited for you. 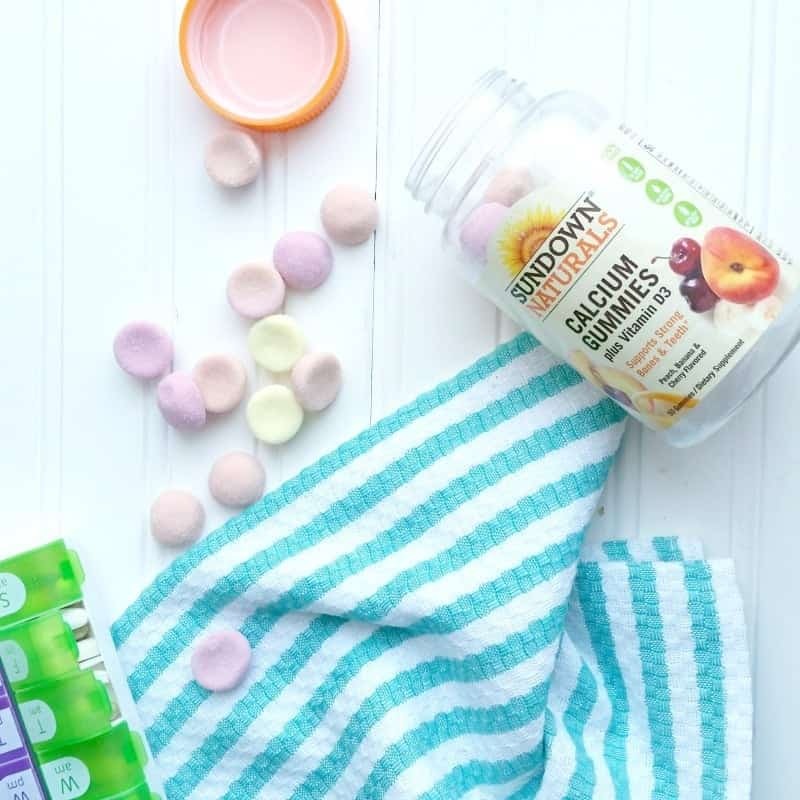 Also, you know what’s really cool about these Gummy Vitamins (besides feeling way young again) they are having Goodness Giveaway Sweepstakes going on right now! Head into Walmart and purchase at least 1 Sundown Naturals® vitamin product for a chance to win weekly prize packages and a grand prize! Every week, one winner will be selected to choose from 1 of 4 prize packs – Yogi Pack, Fitness Pack, Foodie Pack, or a $100 Walmart Gift Card. Simply upload a picture of your receipt here and you are entered for a chance to win some incredible prizes now through 11/1! Seriously awesome if you ask me. Gummies + Giveaways. Today is amazing! Just head on over here for all the details on that. Alright, last but not least. 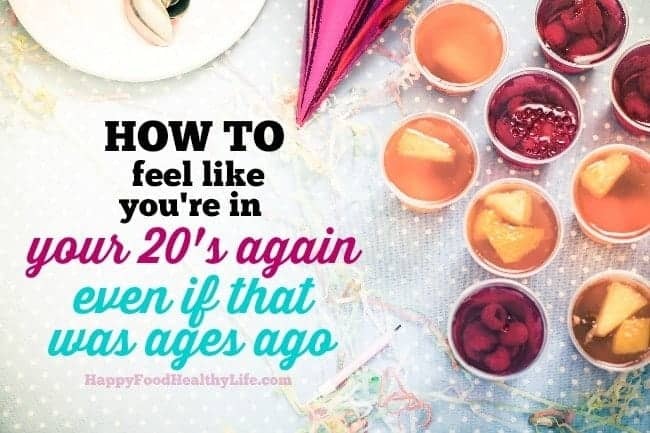 This is one of my favorite ways to stay feeling young. You know what happens as you start to get older? You do the same things over and over again. Same foods. Same bedtime. Same wines. Same clothes. And same restaurants. You’ve got to switch it up a bit. As soon as a new restaurant opens up, make a reservation and check it out. All the younger kids will be there to see what all the hype is about too, and you’ll be right in the middle of it. Being among all the young folks will just make you feel younger and like you are in the know. Even if you’re totally not. All you can do is fake it till you make it.